For more than 60 years, Precision Manufacturing has helped Minnesota manufacturers stay competitive with the latest industry news. This award-winning, bi-monthly magazine is one of our greatest membership benefits, and is available free of charge to any manufacturer in Minnesota. 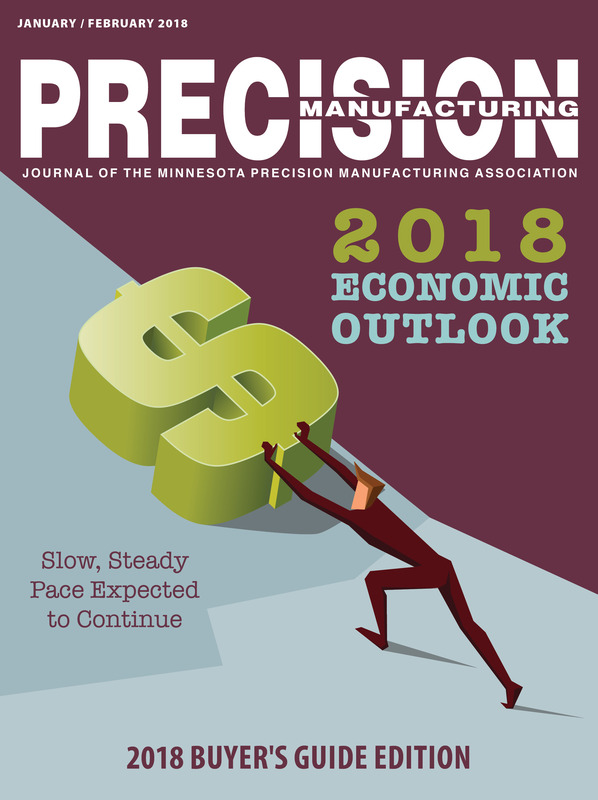 Precision Manufacturing is a trade publication wholly-owned and operated by the Minnesota Precision Manufacturing Association. PM provides educational, editorial and business development opportunities for businesses serving in the industry. Is committed to supporting the growth of manufacturing in Minnesota and the continued development of the manufacturing workforce. This mission of Precision Manufacturing is to promote manufacturing business in the state of Minnesota and surrounding region through serving as a communication link for the manufacturing industry. Advertising opportunities are available to members and non-members, alike. To advertise in the magazine, please contact Todd Cusumano at Todd@mpma.com. Subscriptions: PM Journal is available free to our members and any manufacturer in the state of Minnesota. Contact Nancy Huddleston at Nancy@mpma.com for subscription information.